As has become typical of impending major releases by Samsung, a list of Galaxy S7/S7+/S7 edge accessories has been leaked, complete with pricing info—at least for the German market. Courtesy of German WinFuture, the selection includes a few surprises. Starting with the biggie, Samsung appears ready to take on Apple head-on with a battery case of its own—and hopefully a less disappointing one from a design standpoint. The €89.99 ($99.9) case in question is listed containing a cell with a capacity of 2,700 mAh and, perhaps more interestingly, offering support for wireless charging. According to the latest rumors, the Galaxy S7 is expected to arrive on the scene with a 3,000 mAh cell, while the S7+ and S7 edge are said to pack a monster, 3,600 mAh juicer. If that proves to be the case (he-hee), the backup will prove insufficient as far as doubling your battery life goes. The other interesting item on the list is the so-called Samsung LED View Flip Cover (€69.99, or $77.7), which is new for us. From what we're told by the source, the flip-type case will feature LEDs (duh) that will notify you when you have an incoming calls—and perhaps even notifications? In any case (you know it), it better do something cool, otherwise we'd have to think real hard about burying as much into an accessory. Lastly, a Leather Cover in at least black and brown is supposed to be launched alongside the new goods. OMFG!!!!!!! So now it is apple who invented the battery cases???? I know right, i laughed at that too. I love Samsung and all....but yikes...nowhere in this article does it say that Apple invented battery cases. Merely pointing out the fact that it just so happens Samsung decides to make their own, right after Apple releases theirs. Samsung had YEARS to do so, and never did....until Apple made theirs. Kinda like how Samsung just so happens to start using fingerprint scanners, right after Apple does... And how rumors are pointing to the S7/S7 Edge having Force Touch display...right after Apple does 3D Touch. You can love a company and still acknowledge the fact that they tend to follow in a competitor's footsteps with certain features. >Samsung never released battery case Yep you are right. It's not something I have ever seen from Samsung themselves, and I've been using Samsung devices since the original Galaxy S. But if they have, then my mistake. They have. They have one for the Note 5 and S6 edge+. Just because fanboy writers dont fact check, doesnt mean it didnt exist. Except that Samsung already started making official battery cases 6 years ago with the Galaxy S and continued that trend.http://images.mobilefun.co.uk/graphics/300pixelp/genuine-samsung-galaxy-s-extended-battery-case-p25834-300.jpg Cool story though. It's a pattern here. If Samsung didn't make a headline with a feature and Apple does when introducing the same feature later in time, Samsung copied it the next year. Even though they had it for years. Yeah I had no clue that even existed. I even Googled before writing that comment, and couldn't find any official Samsung battery cases. Never knew about this case, so cool. My brother still have the galaxy s working, but after buying a moto x he do not install any apps because the phone became too slow. Yep. It's really not about copying or who did it first, it's more about following. Apple does something, Samsung follows. The gold phones is another example. Apple wasn't the first, but no one was really doing it then boom! Not really. There was a Galaxy S5 gold version. That was before Apple introduced a gold version of the iPhone 6. Apple follows. Some Apple fanboys only notice things after Apple does it. Before that its either non-existent or imperfect. 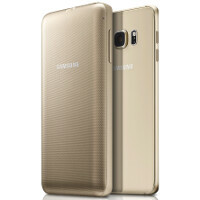 Oh and if you feel that Samsung adjusted their color gold after the release of the iPhone 6, because the S5 gold looks different, have a look at the Galaxy Alpha in gold (this time also the metal frame) instead, also released before the iPhone 6. That's 2 generations of phones, before Apple decided to follow. There was an S4, Note 3 and S5 in Gold. again, just because all the Samsung hating blogs didnt talk about it, doesn't mean Samsung didnt try to set a trend. Its just Samsung gets the hate that Apple should get vs the love that Samsung should be getting that apple gets. simply because Apple is a USA comp nay. There Is nothing wrong with keeping up with the competition. If Apple did something first, it is necessary for the competition to do just that to not loose the market share or better improve on that. Samsung will be an idiot to make it an ego problem and not keep up with the competition. Everyone follows everyone in certain aspects. But, not everything followed is copying. Apple followed the competition in releasing big screen phones, that was not copying, they did what the market demanded which is a good thing. Similarly, Samsung included fingerprint scanners in their phones following Apple which was needed and they did good, there is nothing to be ashamed of. Btw I am not criticising your comment. Samsung already had a fingerprint scanner in its phone in 2005, same spot, from the same company that Apple later bought to implement in in the iPhone. Yes there is nothing wrong, unless you're a fanboy then it will always be. Um where did it say that in the article? I must have missed it. 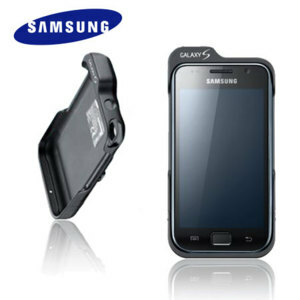 Samsung have done battery cases for a long time, how are they copying Apple?